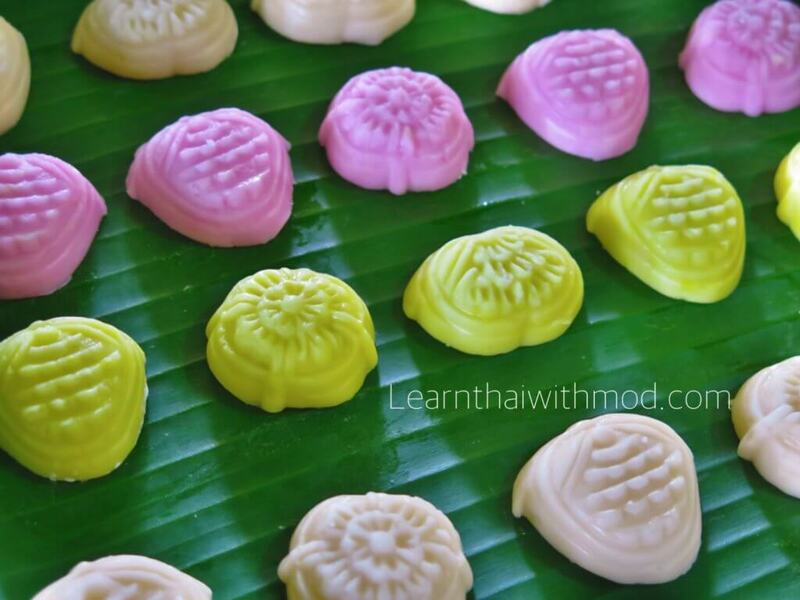 I helped my mom making these ancient Thai desserts. The colorful one on the right is called “ขนมสัมปันนี Khanom Sam Pan Nee” which is made of tapioca flour, coconut cream and sugar. The golden dessert is called “ขนมทองเอก Khanom Thong Ake”. It is made of wheat flour, egg yolks and sugar. One special thing about these two desserts is their scents. They are both are placed in an airtight container, my mom uses a big aluminium pot, along with an aromatic candle made specifically for dessert-making which is called “เทียนอบ Tian Ob”(please see in the photo below) . The candle is lit and placed in the pot. The lid is then closed to snuff out the candle and trap the aromatic smoke inside the container. The sweets then absorb and take on the aroma of the smoke. These desserts are based on and influenced by Portuguese recipes. 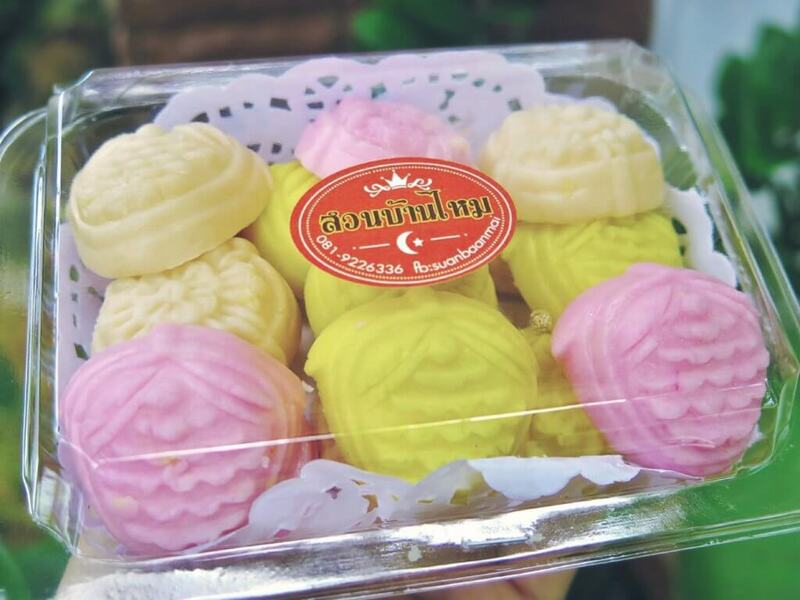 I thought you might be interested to learn a bit about the history of these delicious rare Thai sweets so I started searching and found the information below. Maria Guyomar de Pina or Thao Thong Kip Ma (ท้าวทองกีบม้า; 1664 – 1728), also known as Maria Guiomar de Pina, Dona Maria del Pifia or as Marie Guimar and Madame Constance in French, was a Siamese woman of mixed Japanese-Portuguese-Bengali ancestry who lived in Ayutthaya in the 17th century. She was the wife of Constantine Phaulkon, the Greek adventurer and the first counsellor, and became the head of the royal kitchen staff palace in the period of King Narai. Maria introduced many new desserts into the Siamese cuisine. Some of her dishes were influenced by traditional Portuguese desserts, especially egg yolk-based sweets such as Thong yot, Thong yip, Foi thong. Such desserts were presented and served to King Narai and his daughter Princess Sudawadi who appreciated them and promoted them. Following the success of the new desserts in the palace, some nobles requested to be taught the recipes. Many of her desserts were yellow like gold, a colour that was considered auspicious and pleasant in Siamese tradition. They thus become parts of ceremonial food for good fortune. 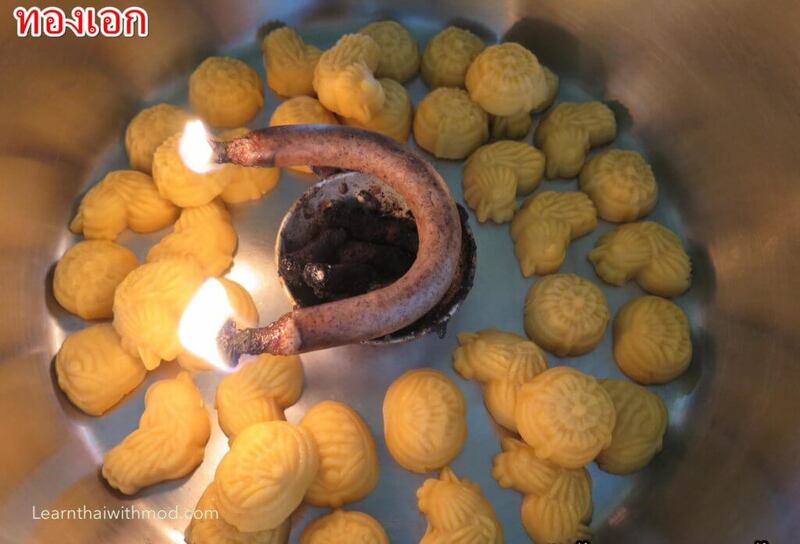 Find out 9 Auspicious Thai Desserts that Thai people use in traditional wedding. 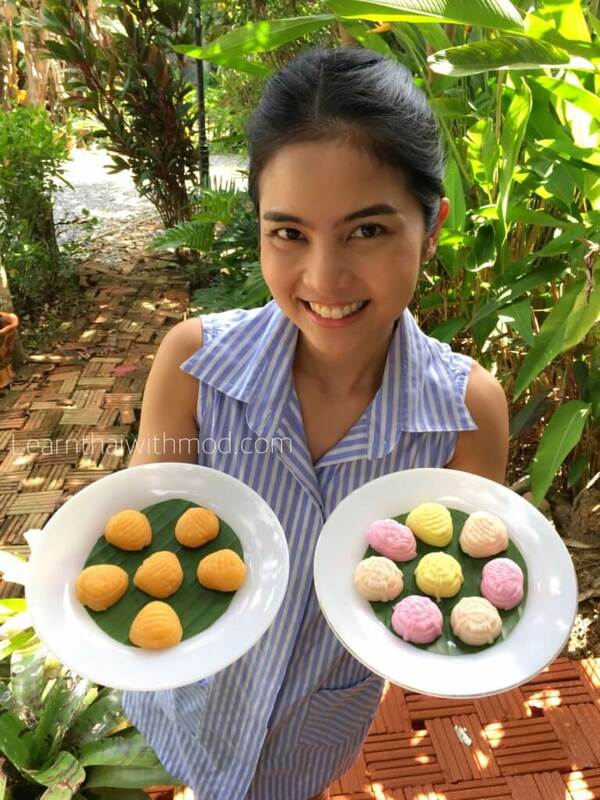 The original Thai desserts had flour, sugar or palm sugar and coconut as the main ingredients and Maria is credited with having introduced egg or yolk, refined sugar, soybean starch or cassava starch, as well as nuts, in her desserts. 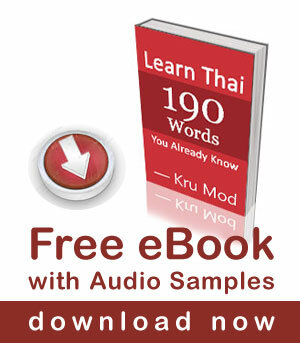 There are many Thai words that borrowed from Portuguese such as กะละมัง kalamang (basin), สบู่ sabu (soap), ปิ่นโต pinto (rice container), กระดาษ kradad (paper), กาแฟ kafae (coffee). If you would like to try these Thai desserts which are rare to find, you can contact สวนบ้านไหม Suan Baan Mai , my sister and my mom will take your order and make them fresh then post to your address anywhere in Thailand. Enjoy! Yes, street vendors don’t usually serve any dessert. Looks like Japanese higashi dessert. I’ll try this next time I’m in the LOS.